The new, completely redesigned Speedy Air Vise now offers the most rugged, precision built, trouble-free air tool on the market. 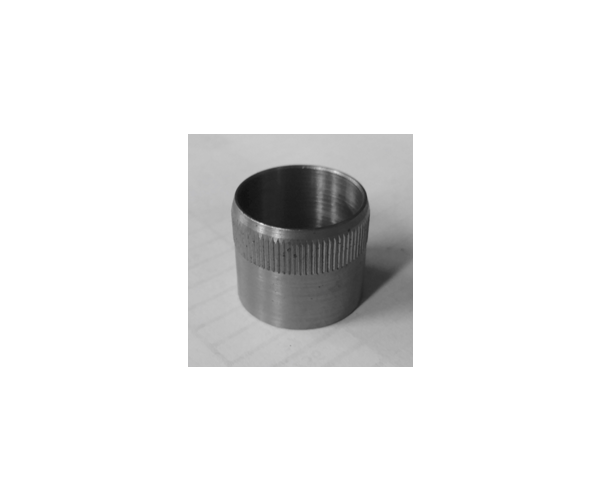 It is THE complete ready-made jig for high speed volume production needs. Speedy Air Vise has a jaw gripping force of 15 times air line pressure. 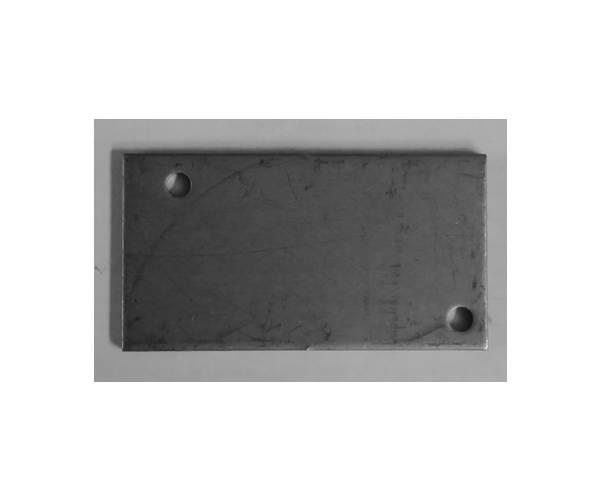 At its maximum operating pressure of 150 poinds per square inch – derived frim either an air line or individual compressor – it develops a maximum jaw pressure of 2250 poinds (15 x 150 = 2250). Any amount of force, down to a light squeeze for delicate work, may be accomplished by simply regulating the pressure of air flow to the vise by means of an air pressure regulator. 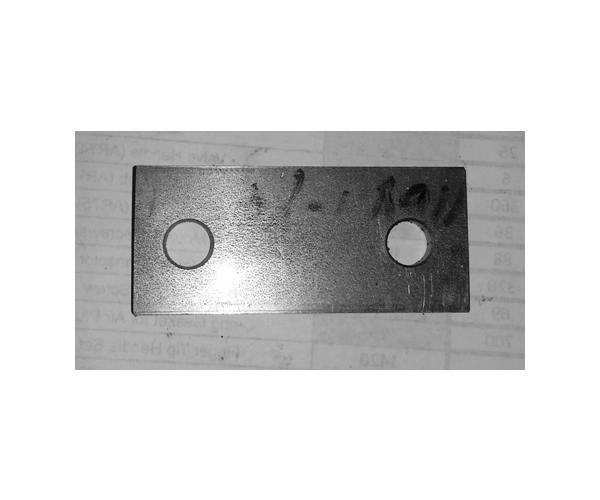 Soft steel jaws are easily fitted with cavities to hold castings, screw machine parts, etc. Once set, the maximum travel is 5/8 inch, but generally 1/16 inch or less is desirable for rapid insertion and removal of work. 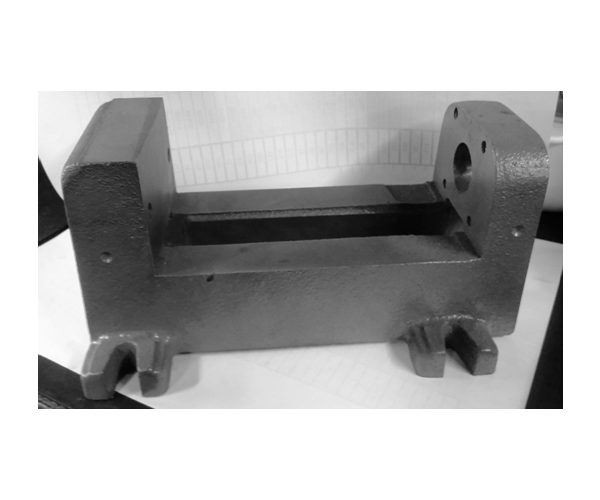 Fixed and movable jaws are made “extra-thick” with top surfaces ground for attaching jigs, fixtures, drill bushings, etc. Cavities can be milled right into the iron jaws for holding special shapes. 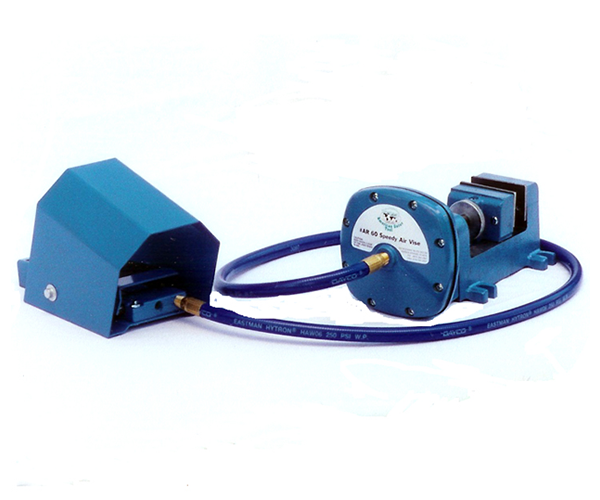 The ram of Speedy Air Vise is driven by a long-life multiple type diaphragm instead of a piston. No packing gland or cross head. No friction loss, air leakage or need for constant lubrication. New heavy duty diaphragm is rigidly clamped between precision ground surfaces of rugged aluminum head and cylinder housing castings. No piston cups or packings to leak or wear out. 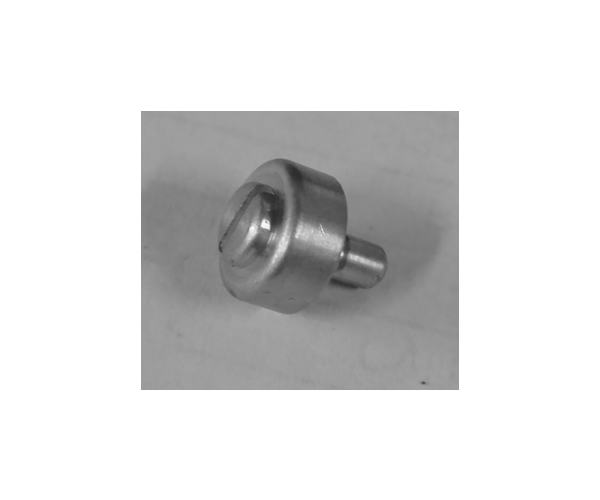 Hold down lugs are provided for attachment to metal or wood bench, drill press, miller, grinder or shaper. The vise comes complete and ready for use with two, five-foot air hoses, foot-control valve with guard, and fitting. One year limited warranty. Weight – Vise only 24 lbs.